New mothers can feel alone. Nervous, anxious, tired and scared. When the euphoria of the first few days wears off and the bunches of flowers are starting to shrivel in their vases, the cards are gathering dust on the mantlepiece and the hubby has gone back to work, all of a sudden the loneliness can set in and reality bites. Some people walk for miles with their newborns, pounding the streets with their three wheelers, others meet friends for endless cups of coffee and compare baby stories and milestones. Some mothers don't have anyone to meet so go online to meet other mothers and let off some steam. Mother and baby websites are now a huge industry and a quick search on Google will show you the diverse topics these women are discussing. 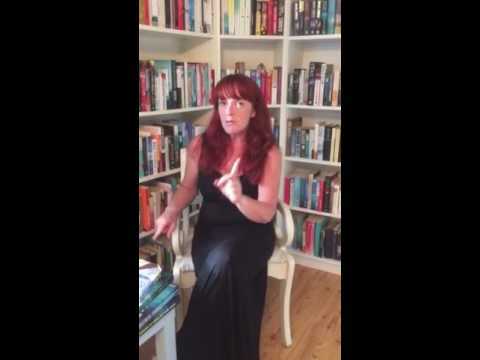 Sinead Crowley uses this premise to write a chilling novel with great effect. Yvonne is a member of netmammy, an online forum for mothers, and enjoys her chats with women in similar circumstances to her. She is new to Ireland and these women are her only link with the outside world. Her husband works crazy hours and she needs company. When one of the users stops posting messages on the forum and a woman is reported missing, Yvonne fears the worst. In the meantime, Sergeant Claire Boyle is working the missing person case and, as she is pregnant, decides to also join netmammy. But then another user stops posting comments. Is there a connection? How much can a person really know about an internet friend? Are privacy settings really private? 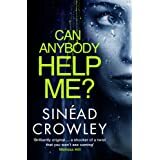 This is Sinead Crowley's debut novel and it's a cracker! She manages to grab the reader's attention from the very first page and just does not let go. I read this in one sitting. I literally could not put it down. Each chapter had me gagging for the next and the characters were totally believable. It was clever to combine the investigation with a pregnant member of staff and to have a character who is not flawless, but real. The writing is simple and easy going, making for a real page turner. There are no "filler" chapters and the end creeps up on you before you know it. The author has produced a feisty little thriller which will have us all more aware of our online activities for a while. Can Anybody Help Me? is published by Quercus on 1st May 2014 and is available for pre-order now.